SMILE - The Creator working to give you hope. I am a mother of three (ages 14, 12, 3) and have recently completed my college degree. The last class I had to take was Sociology. The teacher was absolutely inspiring with the qualities that I wish every human being had been graced with. Her last project of the term was called “Smile.” The class was asked to go out and smile at three people and document their reactions. I am a very friendly person and always smile at everyone and say hello anyway, so, I thought, this would be a piece of cake, literally. His beautiful sky blue eyes were full of hope as he searched for acceptance. He said, “Good day” as he counted the few coins he had been clutching. The second man fumbled with his hands as he stood behind his friend. I realized the second man was mentally challenged and the blue eyed gentleman was his salvation. I held my tears as I stood there with them. The young lady at the counter asked him what they wanted. He said, “Coffee is all Miss” because that was all they could afford. (If they wanted to sit in the restaurant and warm up, they had to buy something. He just wanted to be warm). I leaned over, began to pat his hand and said, “I did not do this for you. The Creator is working through me to give you hope.” I started to cry as I walked away to join my husband and son. When I sat down my husband smiled at me. We held hands for a moment and at that time we knew that only because of the blessings that we had been given were we able to give. I returned to college, on the last evening of class, with this story in hand. I turned in “my project” and the instructor read it. Then she looked up at me and said, “Can I share this?” I slowly nodded as she got the attention of the class. She began to read and that is when I knew that we, as human beings need to help people. In my own way I had touched the people at McDonald’s, my husband, son, instructor, and every two-legged that shared the classroom on the last night I spent as a college student. LOVE PEOPLE AND USE THINGS – NOT LOVE THINGS AND USE PEOPLE. Many people will walk in and out or your life, but only true friends will leave footprints in your heart. To handle yourself, use your head; To handle others, use your heart. Anger is only one letter short of danger. Great minds discuss ideas; Average minds discuss events; Small minds discuss people. The Creator gives every bird it’s food, but does not throw it into it’s nest. He who loses money, loses much; He who loses a friend, loses more. Beautiful young people are acts of nature, but beautiful old people are works of art. Learn from the mistakes of others. You can’t live long enough to make them all yourself. The tongue weighs practically nothing, but so few people can hold it. Friends, you and me … you brought another friend … and then there were 3 … we started our group …. Our circle of friends … and like that circle … there is no beginning … there is no end. I was going to leave this decades old page alone until I saw another of this administrations lies on the Christian Monitor. Homelessness declines as new thinking fuels untold success. Homelessness has NOT been dealt with and some communities have made draconian decisions to avoid dealing with this issue. Cities like San Jose, Boston, Baltimore simply do NOT have ‘the affordable housing’ that this report lies about. 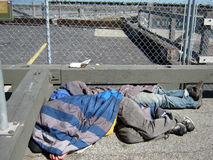 These are your neighbors and they live in the gutter, under the by pass and in tent cities right next to you. At this moment Detroit and other US cities are bulldozing down thousands of homes with YOUR tax money. Would it not be more sensible to make these into homestead grants and perhaps create a support group to aid them in their new found homes? A home based Peace Core, instead of another 5 billion to fund and fuel more external anti-terrorism alliances. I do not accept that there is no hope. I also recognize that in order for the planet to flourish humans need to accept the role of caretakers as this article shows. That includes taking care of each other. 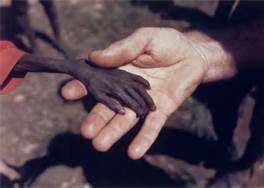 Poverty within human societies is the source of the vast majority of wars, civil unrest and environmental damage. We need corrections. And that requires new systems of thought, economics and better representation from our government. I’m glad I’m getting older. I don”t see a bright future here. Am ready to become a soylent green cracker. Make Room! Make Room indeed! We continue to see the media reporting economic “Recovery,” Most Americans say HUH? 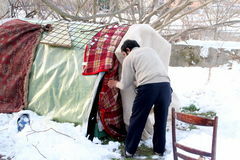 The Christian Science Monitor did respond to my complaint about their ‘homeless’ recovery story and would look into it. The media is owned by the 1 percent and they own the govt. Do I really expect objective or truthful reporting?